Broken Bits is a Finalist!!! Received this WONDERFUL email today! 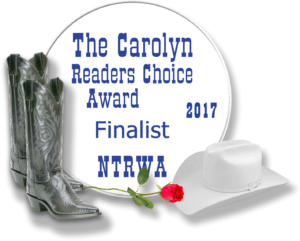 It’s our sincere pleasure to tell you that your book, Broken Bits, is a finalist in the Romantic Suspense Category of The Carolyn Readers Choice Award contest. Books will go to final round judges this week and the winner will be announced on May 6, 2017.